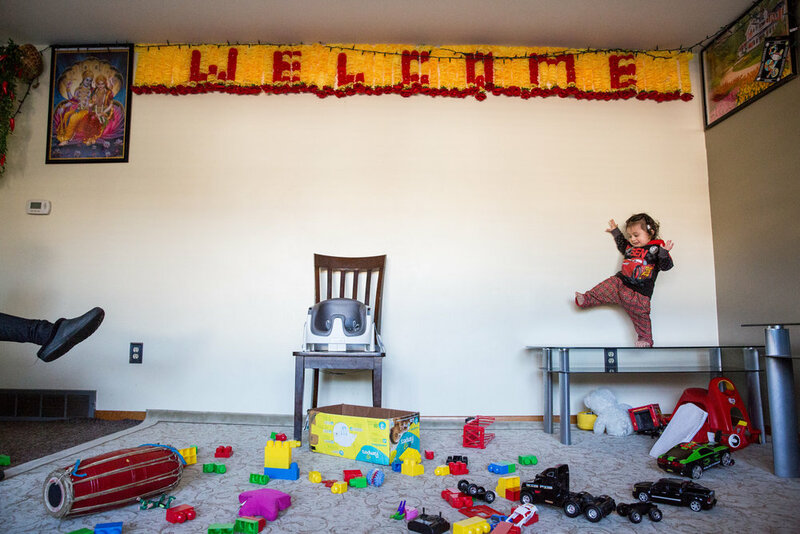 Barghabi Timsina plays "if you're happy and you know it" with her son, Adarsh Timsina, at their home in Erie, Pennsylvania, on March 4, 2016. Timsina and her husband are part of a large population of Bhutanese refugees that have come to the US through Nepal, many of whom are located in Erie. The Timsinas officially gained their US citizenship in December of 2015. A participant tries to catch his breath during the seventh annual P.R.O.M.I.S.E. youth basketball camp with Jakim Donaldson on Thursday, July 27, 2017 at Perry High School in Pittsburgh's North Side. Jakim's father, Jay Donaldson, started P.R.O.M.I.S.E., an organization that works to reduce gun violence, after his son, Jehru Donaldson, was shot and killed in 2007 during an attempted carjacking while on his way to pick up his girlfriend's nephews to take them to a Pirates game. Tears roll down Damira Penny's cheeks as she talks about her daily medications, many of which she is able to afford because of the Affordable Care Act, during a rally marking the beginning of a 24-hour vigil outside the office of Pennsylvania Republican Senator Pat Toomey on Thursday, June 22, 2017, in Pittsburgh. "No one should ever have to choose between their medications and food," said Penny, who has had to make that choice in the past. Binta Williams, center, dances after winning a water balloon dodgeball game at DinoMite Summer Adult Swim on Walnut Street in Harrisburg, Pennsylvania, on Saturday, July 9, 2016. 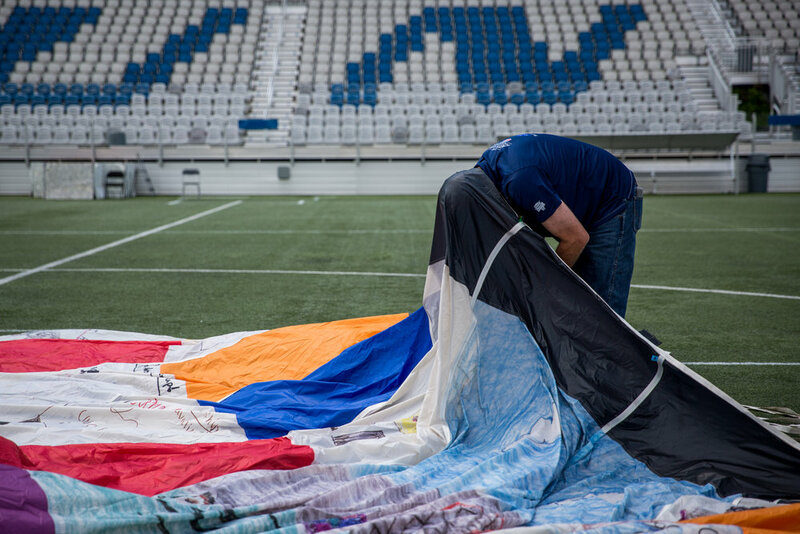 Bill Baker of Dallas sets up the DreamShip, a hot air balloon, sponsored by the Rite Aid Foundation’s KidCents program and Folds of Honor, that is made up of over 400 panels designed by children who are Folds of Honor scholarship recipients, on Friday, August 4, 2017 at Highmark Stadium in Pittsburgh. A cheerleader carries her friend as they wait in a room adjacent to the stage before being called to perform their routine during the Arnold Cheerleading and Dance Team National Championships in Columbus, Ohio, on March 4, 2017. Professional bodybuilder Brittany Campbell works out her muscles backstage before competing in the Figure International competition at the Arnold Sports Festival on March 2, 2018, in Columbus, Ohio. Linda Manning, center, links arms with Officer Scott Hertzler, left, and Officer Joe Rucinsky, right, during a candlelight vigil for victims of police violence and for the five Dallas police officers killed during the summer. A group from Carlisle, Pennsylvania, gathered in remembrance at the local YWCA on July 15, 2016. Whitney Johnson and Jeremy Rhoades hold each other in the parking lot outside of First Baptist Church in Logan, Ohio, before Celebrate Recovery, a Christ-based support group for recovering addicts. Whitney and Jeremy are well known in Logan, Ohio, where Whitney says they were “the worst of the worst” when it came to the addicts in town, but right now they’re both clean and trying to stay that way. Gillian Galbraith of Belfast, Northern Ireland, walks upstairs to her flat at the end of the night after her hen party in Edinburgh, Scotland. Paramedics help wheelchair-bound Joe Allessie out of a bus that crashed into a nine-foot overpass on Thursday, July 20, 2017, in Pittsburgh's North Shore. The group of veterans came down to Pittsburgh from the Pennsylvania Soldiers' and Sailors' Home in Erie to attend a tailgate party and watch a Pirates game. No one was seriously injured in the crash, and the passengers were still able to make the game. Penguins fans Tia Sub, right, and Tyrone Sub, left, cheer and wave towels as they watch game five of the Stanley Cup final on the big screen on Thursday, June 8, 2017 outside of PPG Paints Arena in Pittsburgh. 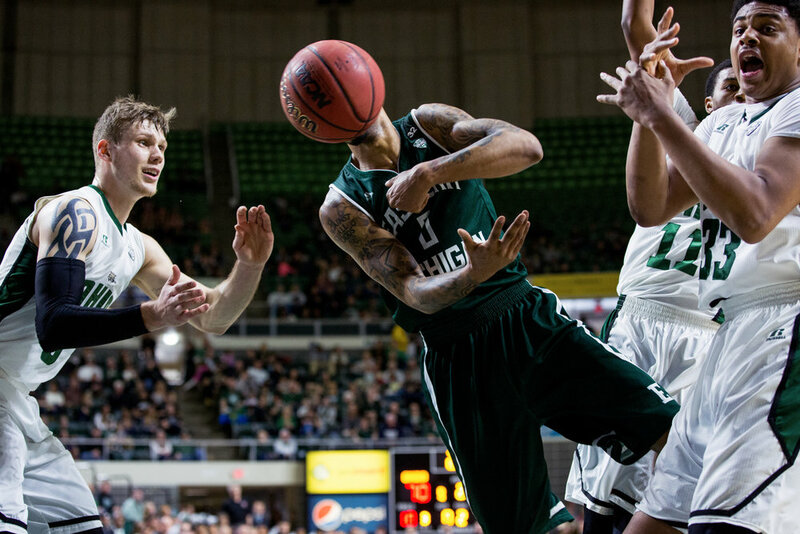 Ohio's Treg Setty waits to catch a pass missed by Eastern Michigan’s Raven Lee during a men’s basketball game on February 7, 2015, in the Convocation center in Athens, Ohio. Ohio finished the consistently close game ahead with a score of 76-73. Wendy Minor Viny lays on the couch next to her daughter Nina Viny, 5, at the end of the day at her home in Meigs County, Ohio, on September 4, 2015. Viny spends her mornings working with adults with disabilities at Passion Works Studio where she is a resident artist and her afternoons caring for her children when they get home from school. Bayleigh Merrill, 4, left, and Morgan McKinniss, 4, right, hold hands with their mothers, Leah Smith, center left, and Misty McKinniss, center right, as they wait to walk onto the stage to be introduced during the Mini Queen Contest on the first night of the Wellston Coal Festival on September 5, 2017, in Wellston, Ohio. The festival has been held every year since 1973. 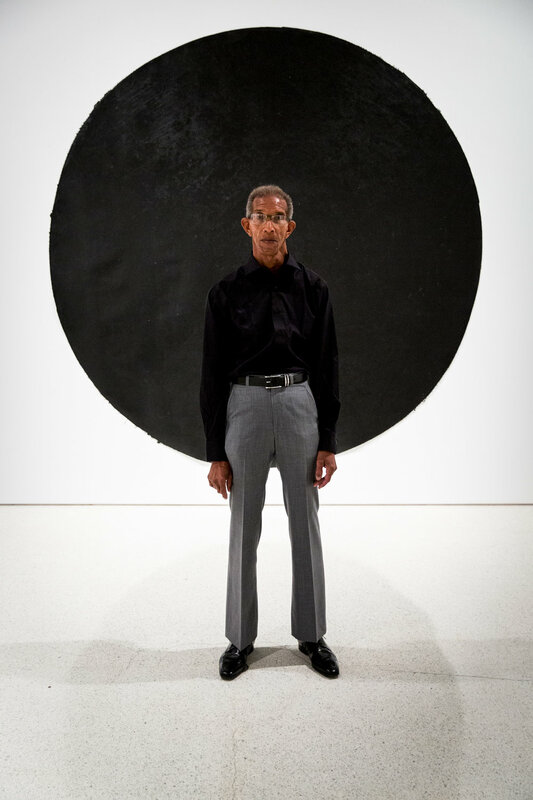 Quentin Morris poses for a portrait in front of his untitled painting during the grand opening of the 20/20 exhibition at the Carnegie Art Museum on Saturday, July 22, 2017 in Pittsburgh. The 20/20 exhibition is an exploration of race in America, and features work by many black artists from around the country. Neighbors and friends comfort each other at the scene of a shooting that killed two people on Tuesday, July 18, 2017 in Larimer, Pennsylvania. Annette Sheeder, left, and Barry Sheeder, right, pose for a photo in front of a large Trump sign during a Trump rally held at Cumberland Valley High School in Mechanicsburg, Pennsylvania, on August 1, 2016. From left to right, Zaineb, Amena, Naira, Aisha, Ramsha and Ayesha eat cake in celebration of Aisha's birthday at Crown Fried Chicken in Mechanicsburg, Pennsylvania, on July 23, 2016.